Not everyone will be familiar with Physiotherapists or have any idea what to expect when heading to their first physiotherapy appointment. We try to take any stress away from our clients and patients by ensuring they know exactly what to expect when heading down to the Openhealth Clinic. This post is here to explain the full process from your first consultation, first treatment sessions and through to your post-session exercises. We will also explain a bit about what Physiotherapy is and why you should consider it. If you have any questions about the Physiotherapy services offered in Ascott, Bracknell and Sunningdale then please get in touch with a member of the team today and we will be happy to answer any questions that you may have. Physiotherapy is the treatment of an injury or disease with physical methods as opposed to using medicinal tablets or other pharmaceutical products. This can vary from muscle manipulation, exercise techniques, massages and a variety of different heat treatments. Physiotherapy is a great method to treat a range of sport and movement related injuries with some of our common treatments being used for the treatment of neck, back and knee pain. Physiotherapy is also perfect for those who are currently going through, have had or will be having surgery. Physiotherapy allows us to break down any barriers to the overall physical function that patients are trying to achieve and ensure that the normal function is restored. Sports Injuries – These can be in a variety of different forms from broken bones to strains. The main thing is to consider if these affect your mobility. Accidents – This is most common with people who have suffered who have recently suffered a car accident. Chronic Pain – It is important not to shrug off any chronic pain as a sign of old age, you should get things seen to straight away. Surgery – This is important for those pre or post surgeries and can help speed up the recovery time and processes. Pregnancy – Bodies change a lot through pregnancy and it is common for people to experience pains or certain aches. Physiotherapy can address any of these issues. Chronic Illness – There are a variety of illnesses that physiotherapy can help with such as arthritis and Parkinson’s disease. If you feel that you suffer from any of the conditions mentioned above then please get in touch with a member of the Openhealth Clinic team today and we will be able to answer any questions that you may have. Following on from the initial assessment the full treatment programme will start. As mentioned above there are a variety of commonly used treatment methods such as massages which involve the manual manipulation of the soft tissues within the body. Massages are used to relieve any tension that has built up between the muscles and is proven to speed up the recovery time for sports-related injuries. Something that often happens when we have pain in a certain area is to keep that area still to prevent the pain. This can cause stiffness and weaken the muscles. This will then lead to further problems. In addition to the massaging of the weakened area, the physiotherapist will provide patients with a set of exercises and stretches to improve the affected area and to ensure the muscles are treated and developed. In addition to this, your physiotherapist may decide to apply heat therapy directly to the area which can increase the flexibility of muscles and prevent the pain from occurring. If you would like to get in touch with a member of the Openhealth clinic team to discuss how our physiotherapist can help you then please speak with a member our friendly staff who will be able to answer any questions that you may have. After our physiotherapists have diagnosed and treated you for the first time we will provide a series of exercises and stretches for you to do to ensure that you get the most out of your time with us and that mobility in the affected area returns to normal. These exercises will be shown to you during your sessions and will help you see the results you are after in as a quick a time as possible. Following from this, the next session you have with one of our physiotherapist will involve them reviewing the progress and see the effect that this is having on you and your injury or condition. We have a team of two expertly trained physiotherapists who work with our physiotherapy clients and patients. Both Rebecca and Marie are expertly trained in physiotherapy and are on hand to help with a variety of musculoskeletal problems that you may be experiencing. You can find out more about the physiotherapy team here at Openhealth Clinic and also a bit more about the service we offer by heading on over to our physiotherapy service page. We are a specialist team of exceptionally trained and experienced physiotherapists. We operate from a friendly and safe environment that allows our patients and clients to get treatment for their musculoskeletal injuries and work towards a better form of mobility. 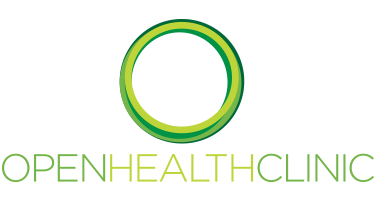 One of our main ethe’s here at Openhealth Clinic is our dedication to providing patients with the best treatments and this can sometimes result in extended appointment times compared to competitors. This shows our dedication to achieving the best results for our patients and also our dedication to providing the best service in and around the Ascott area. Please get in touch with a member of the Openhealth Clinic team today if you have any questions about starting your physiotherapy treatments here – You can also check out a variety of other treatments and services by heading on over to the links provided.